Build your new home with Cerrone Builders. 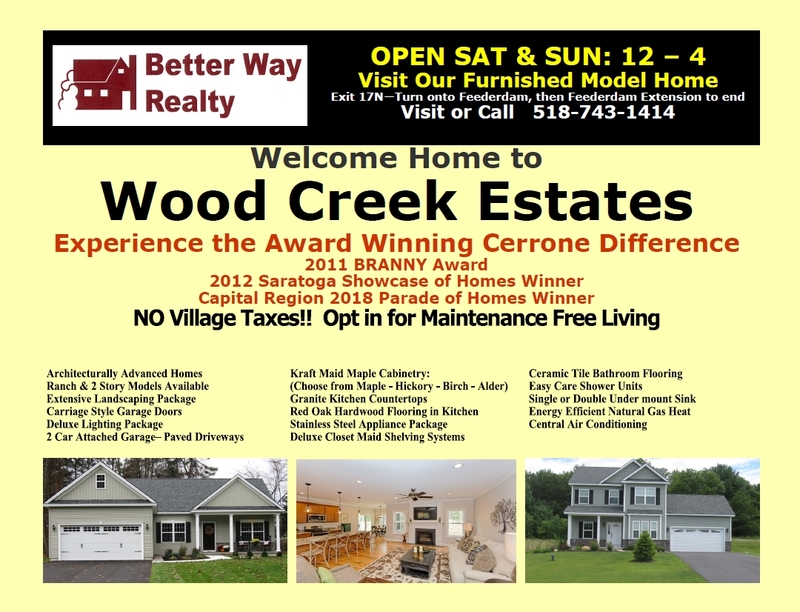 Wood Creek Estates is a brand new community in South Glens Falls, NY. Better Way Realty will customize a floorplan for your lifestyle. Build Your Dream Home with CERRONE Builders. Contact Better Way Realty to customize a floorplan.